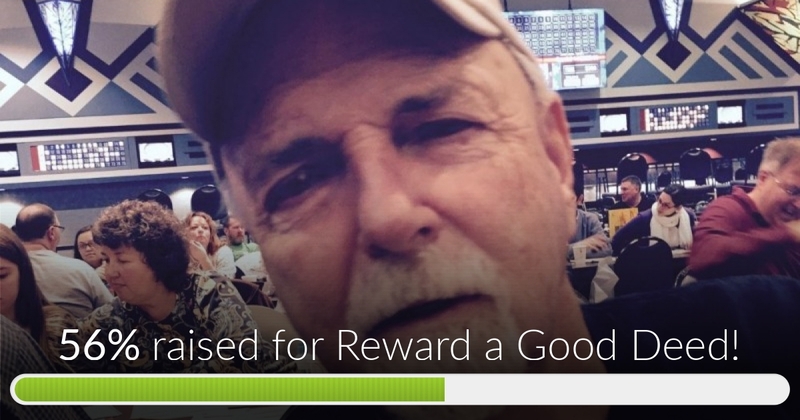 Fundraiser for Raymond MacCausland by Bill King : Reward a Good Deed! Would you return $187,000 in cash? This is a rare feel good story in these times of terrorist attacks, suicide bombers, public shootings at schools and night clubs, and financial scams and ponzi schemes. Makes you wonder, are there any good people anymore? Well, there is...Raymond "Buzzy" MacCausland, a 72 year old cab driver, whom has been finding less and less work recently due to less cab customers due to Uber, Lyft, and other ride sharing companies. He has been driving a cab for over 40 years and says it's never been as bad as it is now. 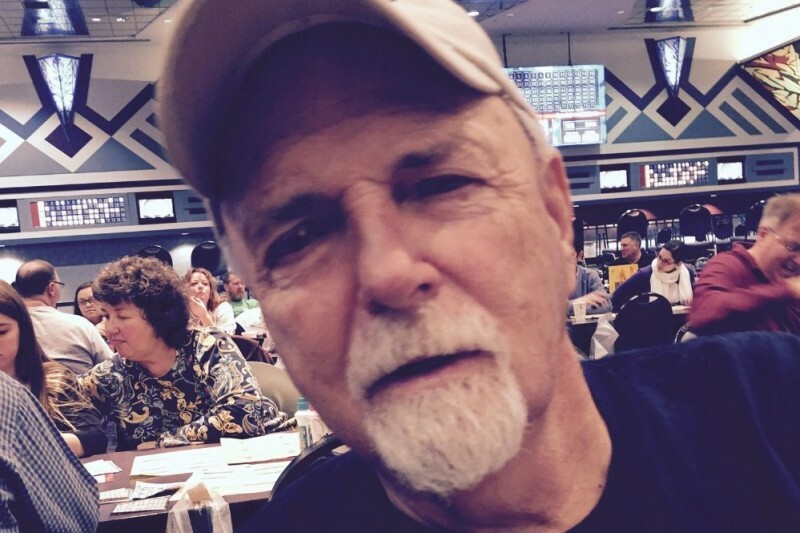 My name is Bill King and Raymond has been with my mother since around 1984. They have lived in Revere, Lynn, MA and now New Hampshire. Both in their 70's, they eke by on social security and whatever Buzzy can put together by making the hour drive from Middleton, NH down to Boston to drive a cab. So on Saturday a scruffy man with a large dufflebag hops in the cab, has him take him to a building where he asks Buddy to wait for him while he meets a friend, a half hour goes by and the man does not return. Buddy is getting nervous so he leaves and recalls the motel where he picked up the man and proceeds to go back there to look for him. No luck, so he checks the duffle bag for possible identification and finds large stacks of cash! There was $187,000 in the bag, CASH! Well, without thinking twice Buddy drove to the police station and turned in the cash. EVERY CENT. He didn't take $5K or $10K because he felt he deserved it. He didn't feel entitled to it. He just turned it all in. The police discovered that the money was actually an inheritance by a homeless man. After tracking the man down and giving him the bag. The man gave Buddy $100 for his trouble (which covered the cab ride and the half hour wait). This is now the second time in his career that he turned in thousands of lost dollars and received nothing in return. I think gestures and people like this should be rewarded. It is sometimes the people that need the money the most that are the most unselfish. Let's reward honesty and doing the right thing. Any contribution would be most appreicated for Buddy, lets give him a vacation that he has not taken in many years. Let's let him take a few weeks off and relax. Reward a Good Deed! has reached 56% of its goal. Thanks to Vincent, Sally, Nancy, John, Mary, Patricia and many, many others. Your generosity is greatly appreciated. Buzzy is overwhelmed by your kindness. Previous commenters - most campaigns on GoFundMe are started by people who know someone who needs and/or deserves something. If you take the time to read the entire post, the individual makes it very clear who they are and their relationship with the recipient. It's not a secret. Buzzy is awesome and deserves our help! This guy certainly deserves a serious pat on the back. Reading further about the situation and how he comes into the city to supplement his Social Security income, makes it all the more honorable. Imagining what the homeless drug addicted passenger is likely doing with the funds, albeit his right, adds salt to the wound, per se. @Kathy Burgess Zimo Actually, he kind of did. His girlfriend's name is Sharon King and look at who signed it? Bill King - son of Sharon King. I'm pretty sure he did not fund his own campaign..is there something that says he did? Bill, you're a good man to return the bag to it's legal owner. Anything you may have done with the funds would have likely haunted you in some way. The worked' so better place because there are people with character, such as yourself. You've made many people think the same. Peace. Well done. You are a credit to your profession. Sad more people don't "Do the right thing." I just simply believe that acts of kindness should be acknowledged and appreciated.